Restaurants and employee's benefit from the continued growth in the food-delivery market as the food delivery service provides nontraditional job opportunities to students, casual and full-time workers, giving them the opportunity to determine their own working hours as independant contractors. 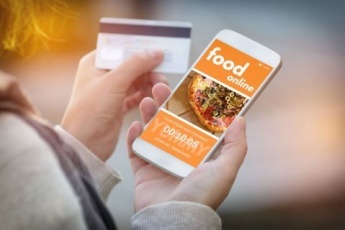 As restaurant owners are expected to continue delivering food, several technology companies are creating food-delivery apps including Grubhub, UberEATS, Postmates, etc. A recent study performed by research firm Cowen & Co. concludes that the apps are transforming the food-delivery market. Restaurant sales across the U.S. are projected to rise an average of 12 percent per year for the next four years - increasing to $76 billion. CEO Don Fox of Firehouse Subs reports that revenue has increased by 7 percent this year from orders placed online and through food-delivery apps. Fox also states that orders for pickup and delivery have made up 60 percent of their revenue year-to-date. As the food-market industry continues to make adjustments in response to food-delivery, Firehouse Subs is improving their space across the nation to better assist grab and go orders. Previously, Firehouse Sub preferred leasing space that ranged in size from 2,000 - 2,200 square feet. Fox states Firehouse Subs no longer considers a lease on a space that consists of more than 1,800 square feet. In fact, in more densely populated areas, wehre existing rental rates are significantly higher and people are always ordering online, the retail chain will enter a lease in space consisting of just 1,400 square feet.